This Halloween costume might be my favorite. It’s so cute I want to eat it. We used elastic straps at the back to keep it on! See the full instructions below. For the base we used paper and bubble wrap and then did the paper mache technique shown below and then did sculpey to make the little pieces of salt. Step 1: Use packing paper and packing tape to create a long strand. Cover the packing paper with bubble wrap. 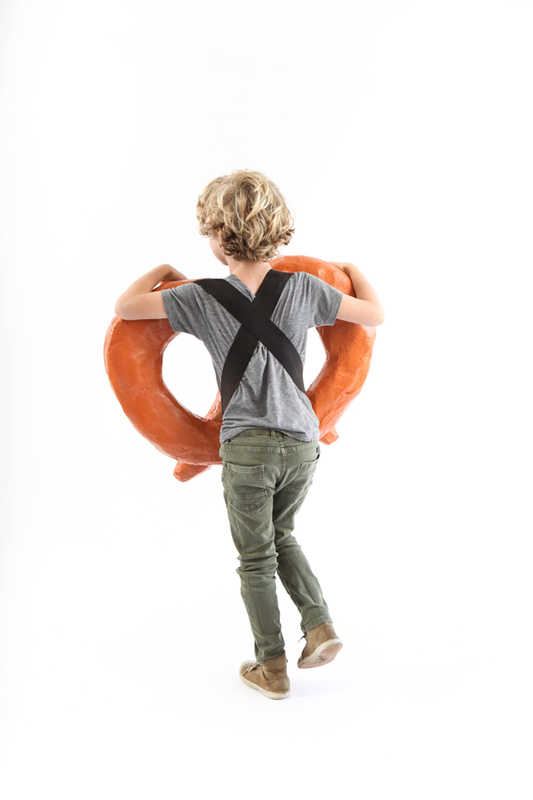 Step 2: Arrange the strand into a pretzel shape. 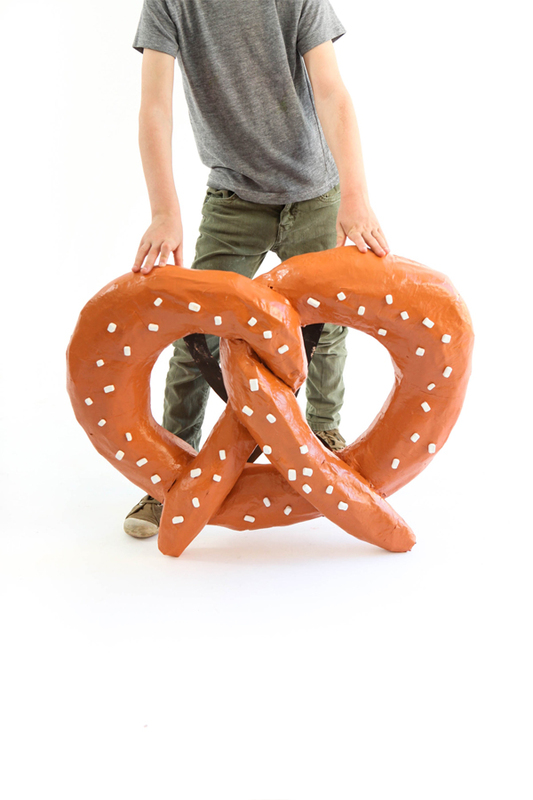 Step 7: Once the paper maché dries, staple the elastic to the back of the pretzel in a criss cross pattern. 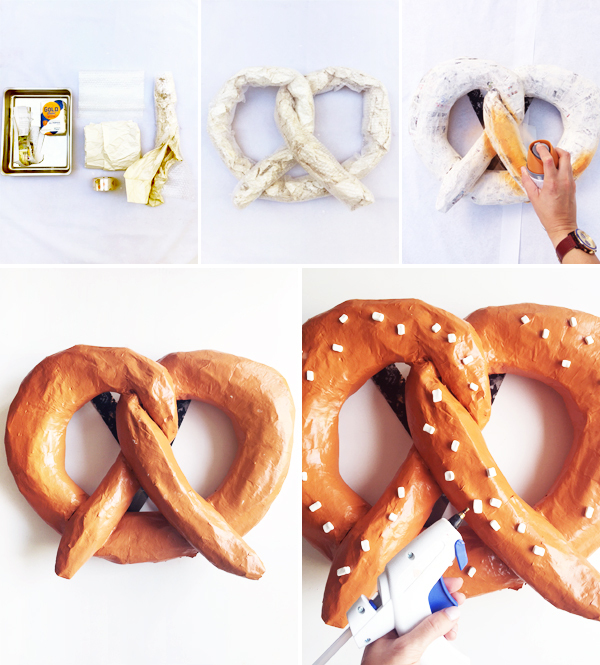 Step 8: Spray paint the pretzel. Step 9: Shape small pieces of sculpey into cubes. Follow the instructions on the package to bake them. 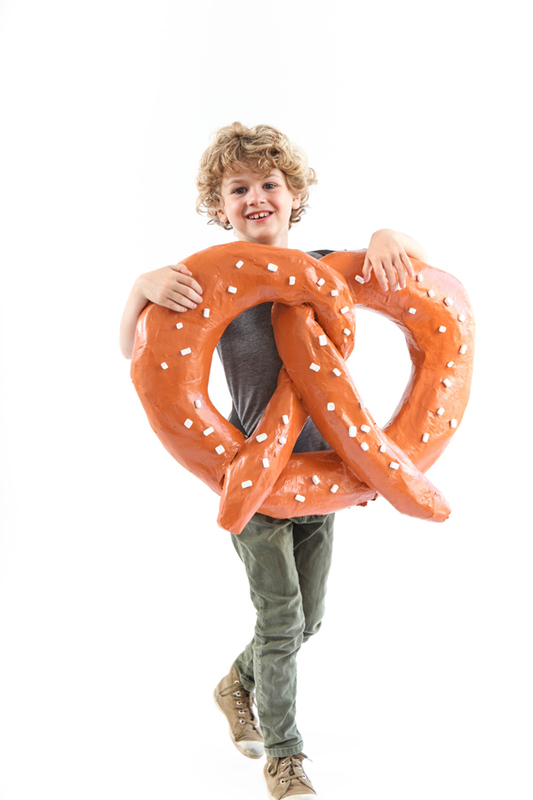 Step 10: Attach them to the pretzel with hot glue. 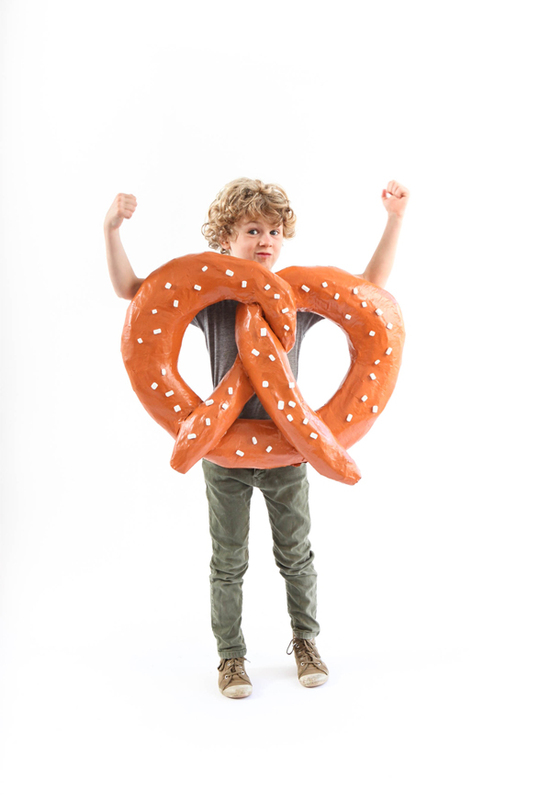 This costume is perfect for those older kids who might not want to fully dress up anymore! This is adorable as always! 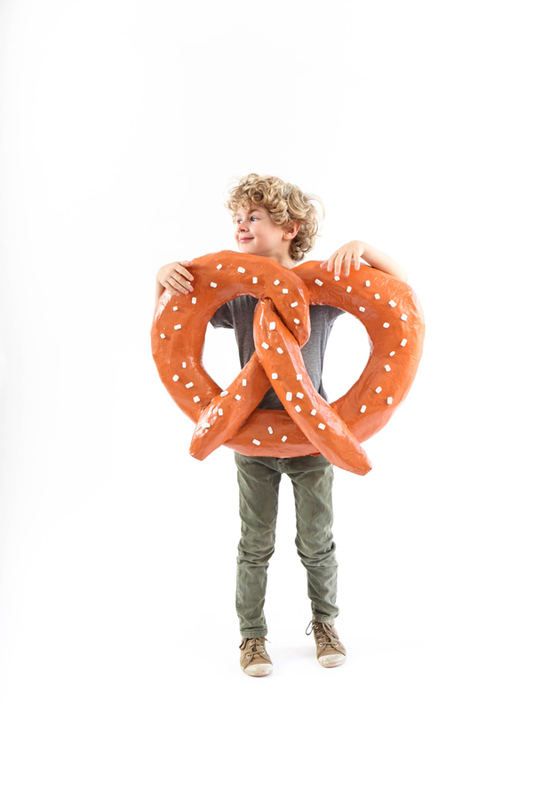 Might even fit an adult, maybe with a Bavarian attire! I love it!! So clever and unique.